“Voting for Mr Rao is nothing but voting for Modi. This is the reason why Mr Rao rushed to Delhi,” Mr Uttam Kumar Reddy said. 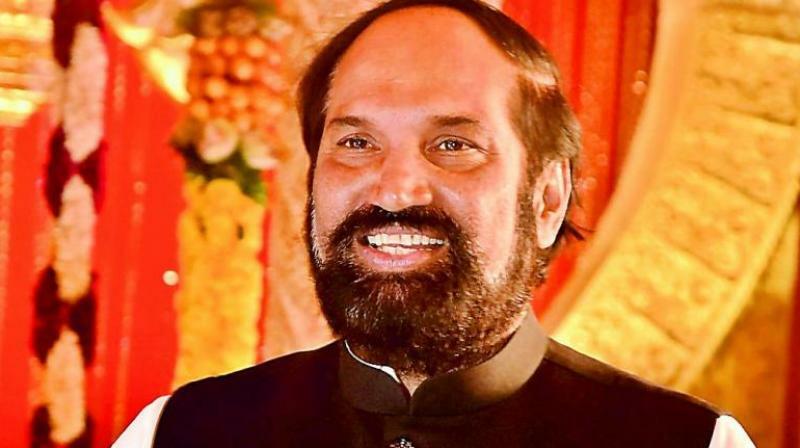 Hyderabad: Telangana Pradesh Congress Committee president N. Uttam Kumar Reddy on Monday alleged that caretaker Chief Minister K. Chandrasekhar Rao and Prime Minister Narendra Modi held a secret meeting in Delhi. “Voting for Mr Rao is nothing but voting for Modi. This is the reason why Mr Rao rushed to Delhi,” Mr Uttam Kumar Reddy said. Addressing the meeting that was arranged by the Christian leaders on Monday, Mr Uttam Kumar Reddy said, “The Congress is needed for the state and the country. The Congress will provide Scheduled Caste (SC) status to Dalit Christians. We will give importance to Christians unlike Prime Minister Narendra Modi.